At Spine & Orthopedic Center, we offer in-house X-Ray services at all of our locations. If you are in need for an X-ray for any type of injury, call us at 1-888-409-8006 to get an appointment. 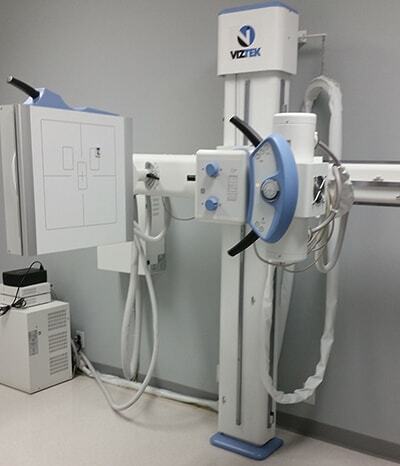 With SOC in-house X-ray equipment, we are ready to service any type of injury. For the benefit of our patients, once X-rays are taken, all digital images are made available for immediate evaluation at the patient waiting room. At SOC, all patient waiting rooms are equipped with state-of-the-art equipment that shows the patient x-rays seconds after being taken right in the office. Generally, no preparation is required for general x-ray, although the patient may be asked to change into a gown to eliminate any interference with metal objects, such as buckles and zippers, plastic objects and silk screen images on shirts.